Microbe spells: Visual made of signs and symbols, taken from various Antonin Artaud drawings. Some taken from his Spells into which he burned holes as for purification ritual. Death and Man: Antonin Artaud drawings representing a body without organs, its zigzag limbs electrified by the current that seems to flow from the boxes. Antonin Artaud received 51 electric choc "treatments" during his internment. With the Judgment of god. Although the work remained true to his Theatre of Cruelty, utilizing an array of unsettling sounds, cries, screams and grunts, it was shelved by French Radio the day before it was scheduled to air, on February 2, 1948. Artaud died one month later. more and more like Odile, the Black Swan. His writing is crisp, unmasked, and intellectually and visually stimulating. Whatever one thinks of Artaud's ideas, he provides much food for thought. It was during a meeting, held in Paris in 1925 and led by Antonin Artaud (1896 – 1948), that the Research Office of the Surrealist group adopted the following statement: “Before any surrealist or revolutionary consideration, what dominates in their mind is a certain state of fury.” This statement reflects Antonin Artaud’s mindset, exposing his difference vis-à-vis the rest of the movement: absurdity and irrationality were his way of life, not just figures of style and mannerism. His exclusion from the movement is acted in November 1926. During all his life, Antonin Artaud used multiple forms of art, always with the same Fury. He was essayist, poet, actor, director, public speaker, illustrator, etc. All genres were put to work as desperate attempts to exorcise himself, and recognize his own image, though numerous self-portrait. 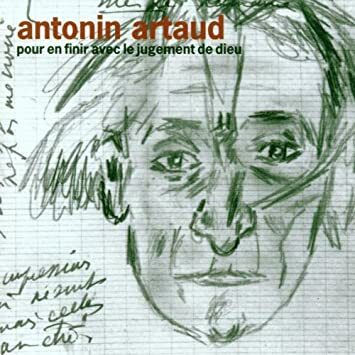 Antonin Artaud had a beautiful face, enhanced by an intense stare, and modeled for Max Ernst, Balthus, Dubuffet or Man Ray. On the screen, he specialized in supporting roles for famous film directors. In “Napoleon” (Abel Gance, 1927), he is remembered for his iconic picture of the death of marat. He is a mystic monk in “Joan of Arc” (Carl Dreyer, 1928). In the “Croix de Bois” (R. Bernard, 1932), he runs out of the trenches, screaming, before collapsing, ghastly, his stare fixed and possessed. In real life, Antonin Artaud is described as being unpredictable, with sudden and dreaded mood swings. But more than anything else, his tragic brawls make people uncomfortable not knowing which part is comedy and which part is genuine, as if he was living his roles and acting his life. He refused to distinguish between reality and fiction. For him, reality is only defined by consensus, the same consensus the audience accepts when they enter a theatre and pretend that what they are seeing is real. His essay “Van Gogh, the Man Suicided by Society” (1947) is critical to understand Antonin Artaud’s art. He wrote this text after his own release from a 9-year internment in a psychiatric hospital. This is a Van Gogh biography from the inside. This is a formidable thesis against psychiatric persecution and against the society: “because this is not the man but the world that became abnormal.” This is a true poetic interpretation of the famous painter’s art. This is, above all, a very personal work, in which Antonin Artaud identifies himself with Van Gogh, as he would have done on the screen, and tells about his own experiences. Antonin Artaud is fascinated because Van Gogh was not painting “lines and forms, but parts of still nature as if in full convulsions.” Antonin Artaud was himself an illustrator, and he practiced his art with the same fury and violence that he did everything else. Doctor Dequeker reported the genesis of one of his creation, transposing with mastery the style of the artist: “on a large sheet of white paper he had drawn the abstract outline of a face and in this space (…), without any mirror, I saw him create his double, as if in a cauldron, in burning torture and absolute cruelty. He was in rage, breaking pencils after pencils, suffering internal pain from his own exorcism. Through the screams and the most feverish poems ever spewed from his tormented guts, he was beating and casting spells on a nation of rebel larvae, when all of a sudden, with striking resemblance, his face appeared.” For Artaud, a self-imposed suffering is necessary to create art, the same way suffering defines the human existence. His fight against the real and the matter, against the physical imprisonment of his mind, is permanent. His writing style also reflects the same existential battle against fixity, order and cohesion. To create an outlet for his natural fury, Antonin Artaud frequently used the narrative form of badgering, sometime calling himself, sometime an unsuspecting correspondent, but more generally the entire world. To master and corral his creativity, he hit a piece of wood with a knife or a hammer, while chanting and punctuating the diatribes forming under his hand. His writings can easily be read aloud, as they match the rhythm of life, with their screams of love and hate. The form of his writings is also deconstructed. Words or groups of words are sent back to the next line, bolded, centered or aligned to the right. Many of his essays are made from a collection of articles, conferences, letters, manifests, etc. Still, from the disparate juxtaposition, from the chaos, superior meaning springs, almost unreachable, sometime elusive, but always within the romantic tradition of the visionary poet. 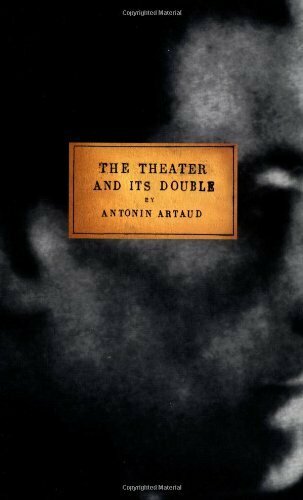 Antonin Artaud is best known for his essay on the “theatre and its double” published in 1938. This text is not just a critic, as often with Antonin Artaud, but the true foundation of his theatre of cruelty theory for total showmanship. Theatre in western countries is limited to entertainment value, anchored in social and psychological conflicts, heavily based on dialogues that belong more to a book than to a scene. By reducing the spoken language, room can be made for the supernatural language of senses and the communication of ideas and feelings that can’t be expressed with words but through music, dance, mime, ritual, mystic chants, lighting, etc. He proposed "a theatre in which violent physical images crush and hypnotize the sensibility of the spectator seized by the theatre as by a whirlwind of higher forces" and shock the audience out of its complacency. Throughout his life, Antonin Artaud embodied art in all its forms, mixing madness to supernatural, chaos to creation, poetry to reality to form a total showmanship. He corralled his internal fury to seed his creativity and reach new emotions and meanings for art. At the same time, art provided a critical outlet for Antonin Artaud’s anxiety and delirium and became a true philosophy of life. In a full circle effect, Antonin Artaud became its own mysterious piece of art. Brace yourself Aliens are coming!